The Japanese brand has been resurrected, but only for emerging markets. 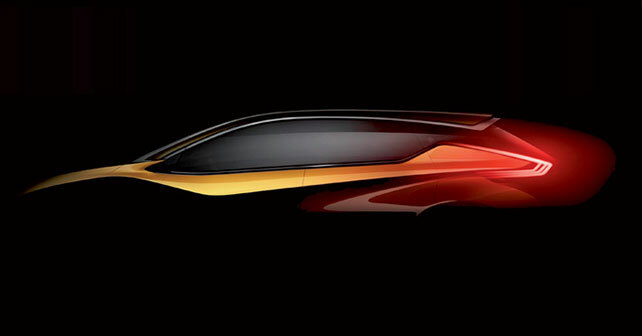 However, the head of design at Nissan would like to take it to Europe and the US as well – preferably in the form of an affordable sports car. An affordable and compact Datsun coupé – why not? In the US, everybody still remembers the Datsun 240Z, which, in the 70’s, turned the dreams of a restless generation into reality. Fortunately, it’s not just the ordinary person who wants to see this car on the road again, but also the design head at Nissan. It’s easier than having only one. If the same brand has to do everything from entry-level small cars to premium models, it’s much harder to communicate the quality and significance in terms of design. 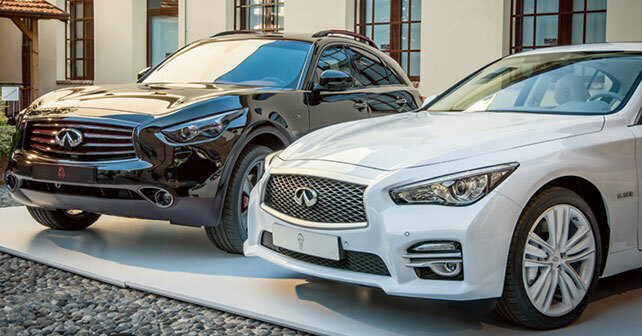 It is precisely for this reason that we created the Infiniti luxury brand – not because we needed to extend the range, but because we needed to communicate a new, premium identity. Take, for instance, our Japanese product line-up – there were already cars with four or five-litre engines at the higher end of the market, and cars costing around 70-80 thousand Euros, and we also provided the limousine for the Japanese emperor, all under the Nissan brand. So, there was the know-how – there was the history and the prestige. However, in North America, those cars would not have been understood – certainly not with the Nissan logo. The image of Nissan over there was that of a mass-market vehicle manufacturer. This led to the birth of the Infiniti brand. Today, 25 years later, the brand is in more than 50 countries and we’re pushing it towards having a sporty appeal – towards performance and character, and towards an emotional connect with the consumer. The most iconic product of the range remains the QX70 SUV. At that time, the Infiniti brand name was still not well known – we needed a car that would attract attention. The FX has provided a clear direction for the evolution of the brand. The other major reference, more recently, is the Essence concept of 2009 – it’s the inspiration for the lines of the Q50, and for the Q30 coupé comes from it. Graphics help identify the brand, so Infiniti has its own graphics, and so does Nissan. In addition, Japanese people are very ‘detail oriented,’ attentive to the ornamentals in particular. That said, I think that the overall proportions of a car remain the trump card of good design. 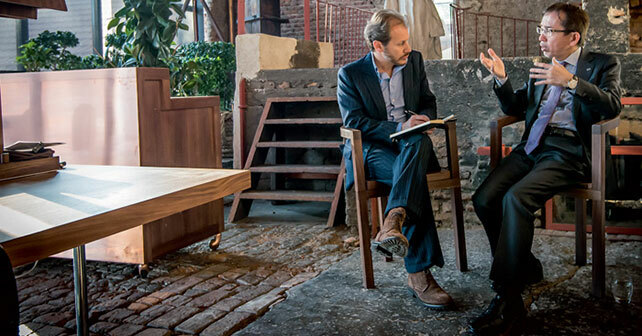 At one time, we had a competitive advantage in this field, and I recognise that we lost it. 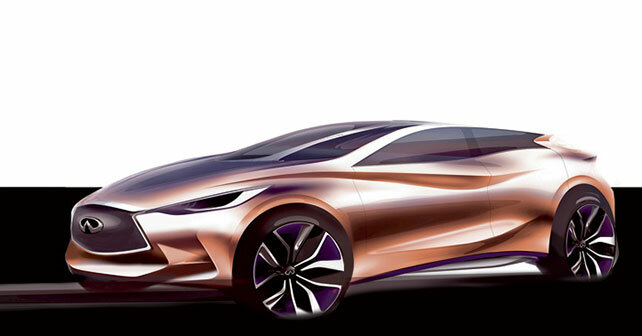 However, we’re now working hard, and the upcoming cars confirm it – the Q30, for example, will have unique proportions. Compared to Infiniti, how can we instead characterise Nissan? With Nissan, we can be a lot more outrageous – just how we’ve been with the Juke. The Qashqai was not so fanciful in its design, but it was very innovative in its proportions and in its concept – so much so that it invented a new segment. As a matter of fact today, in Europe, Nissan is synonymous with crossovers. 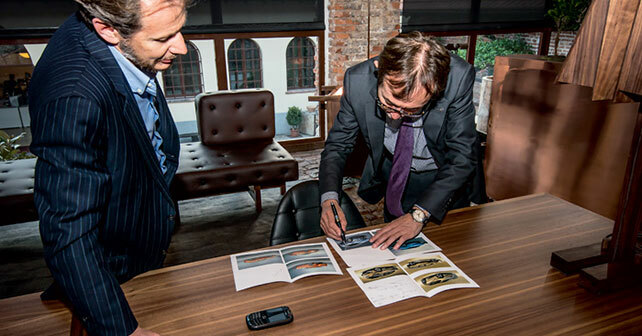 Moreover, the sedan sector is very competitive, so we had to avoid it. The other pillar of the brand is the sporting heritage, which is best expressed by the Z and the GT-R. The Micra was a product with a very strong image, but if the present generation no longer has the same style, with the next generation there will be a return to its roots. However, future cars will be more consistent with each other because, today, the weakness of the Nissan brand is the excessive individuality of the models. Career: Degree in Industrial Design, Masters degree at the Pasadena Art College. 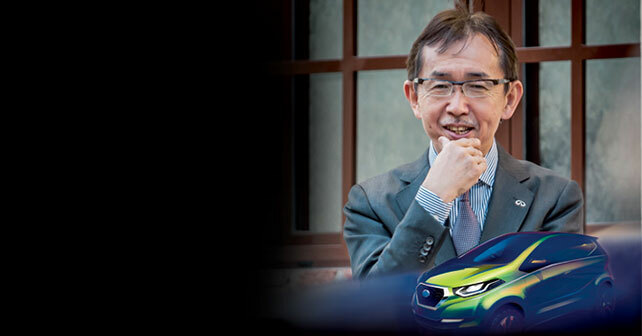 He began to work with Nissan in 1999, after working with Isuzu for 25 years. Through Sheiguru Iwakiri, a Japanese architect based in Rome, and a friend of Nakamura, Infiniti and Poltrona Frau, came together to create two unique models – the Q50 and QX70, with Italian leather inside. The ‘angelic’ sedan, with a white-zinc body, and light coloured upholstery with blue inserts, and the ‘demonic’ SUV with a black body and black upholstery with dark red inserts. 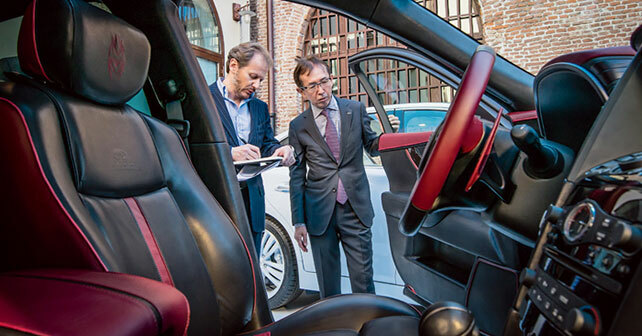 The two cars were finished at Poltrona Frau’s headquarters in Italy – following 500 hours of work for each car and 20 pieces of leather – and is the result of a collaborative effort between Poltrona Frau’s designers and Nissan’s Design Centre in London.